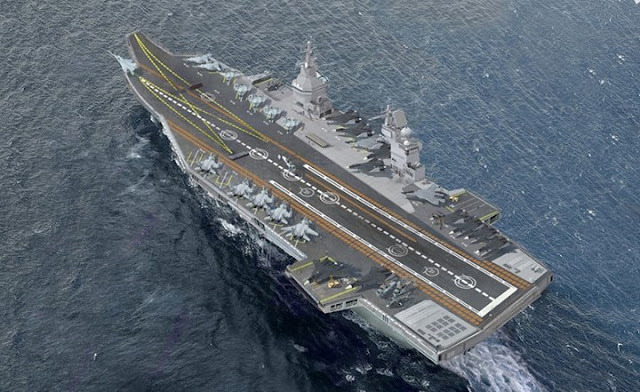 Several media reports quoting unnamed Russian sources, that Russia and India in talks to build India's next generation aircraft carrier dubbed as INS Vishal or IAC 2. 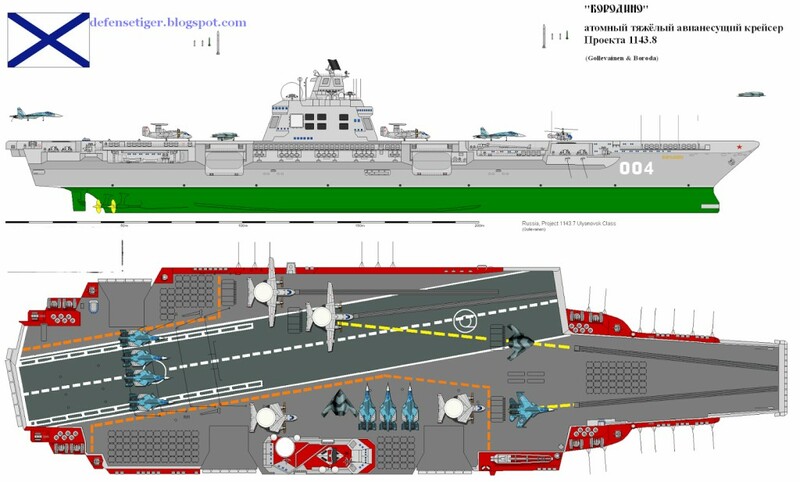 Earlier Russian showed a model of aircraft carrier which can capable to launch short take off fighters and assisted take off fighters. The carrier named project 23000E or Shtorm. Indian navy proposed a plan to build next generation aircraft carrier, which is more powerful than existing carrier's. Navy approached this plan to the government and allowed to move on with the project. The Navy wants the carrier to be powered by nuclear reactors for unlimited endurance and need to be assisted launching for launching heavy fighter jets like Hornet's and Rafale. Indian Navy found two major contenders, One is the American's and another is French, who successfully operates such carriers and capable of building new one too. America and French currently building carriers for their Navy, they were powered by nukes with assisted launching capability. 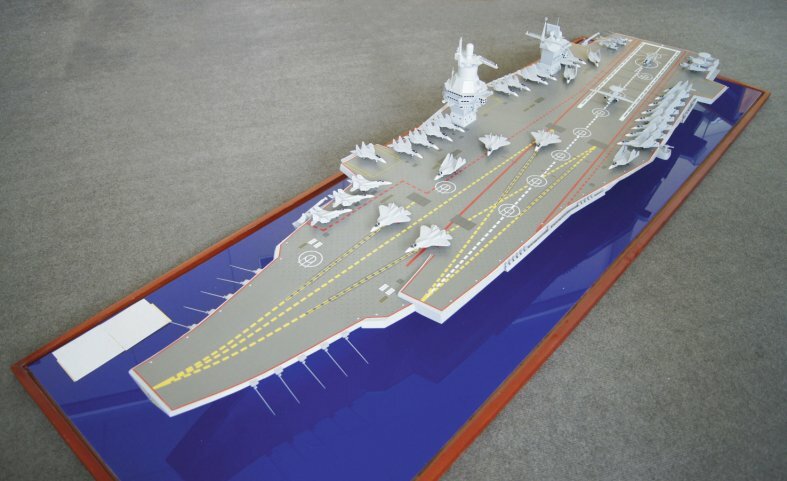 Here Russia didn't build a carrier more than a decade, During the Soviet period they constructed some of them, later they planned another one, however they cancelled it, that cancelled Aircraft carrier program named project 1143.7, and they refurbished a carrier with high cost and later transferred to Indian Navy, The Vikramaditya is costlier than the Queen Elizebeth carrier which is double in size compared to the Vikramaditya. Moreover, Russia even approached the French to contract their first LHD ( Landing Helicopter Dock ) named Mistral, Because of constructing such helicopter carrier is easier and cost less than building one in Russia. However due to the Russian invasion of Ukraine, the Europe Union and French sanctioned the Russians, later it was sold to Egypt, compensations paid to Russia later. The Russian model of the 23000E shows a ski jump along with a catapult launch, which can launch both medium weight navel fighters like MiG 29 K and proposed a naval version of PAK FA heavyweight fighter jet's. Russia plans to assist the Indian carrier building with mutual interest, with Indian money they can build their aircraft carrier free of cost, with the huge cost of building the Indian one. However, India clearly stated that building the second carrier should be done in Indian shipyard's only. A pretty good reason also on the anvil, that Russia did assist the IAC 1 or INS Vikrant construction. However most of the critical parts like Engine, Radar and sensor systems, artillery gun's are outsourced from the USA, Israel and Italy respectively. As India already approached the American's for the IAC 2 construction, both are already assigned a team and a joint working group called DTTI. both already involved in a round of talks and Indian visits to American aircraft construction and American visit to Indian aircraft construction also happens earlier.